Like most people my age, my phone is part of my life, as much as I wish it wasn't. I have apps to check my email, the weather, my schedule, online shopping, books, etc. 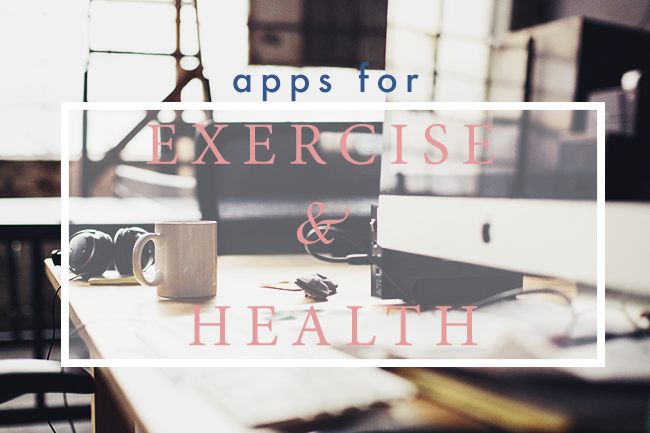 The last time I did a mobile app round up was back in June when I updated my list of apps that I use to help me blog and be more productive in general and I thought I'd do another list of apps that help me be accountable with exercise and health. For me, it's pretty easy to get caught up in tasks and not work out, which is bad. It's really important to stay healthy so things can be done. I preferred exercise is running, though I haven't done it recently, and Nike+ is really great for keeping you accountable with running as well as tracking how much you run. I like seeing the visuals and it's really nice since you can make it motivate you as you run. It sounds super lame, but it's actually quite nice. It also shows you where on your run you slowed down, was fast and gives you a time breakdown. Also, you can use it with friends so you can make each other accountable. It also comes with a training program to help users train for 5Ks, marathons and more. Users can use it with Nike+ shoes, though you have to buy a sensor for the shoe separately. I personally just use the GPS function when I run. Winter is coming and I tend to hermit myself inside buildings. I just downloaded Nike Training Club a couple days ago and I like how there are customizable workouts for goals such as toning, weight loss and strength training. It has short videos too for the workouts, which is super nice. The videos can be streamed from your phone to a TV, which I find it super nice. I really like how SleepBot keeps track of my sleep cycles and offers tips to optimize it. It also tries to optimize the time you wake up so that you wake up more naturally (!!). There are a bunch of settings such as offsetting the punch in time to better reflect when you actually fall asleep. I have WebMD's mobile app and I mainly use the symptom checker. It's really nice and gives you a general list of possible ailments you have. It actually correctly diagnosed my bronchitis earlier this year so that was nice. Other features include accessing drug and treatment info, first aid essentials and more. What type of exercises do you do? What mobile apps do you use to help you stay on track with workouts? Do you use any health apps? What about Fitband? P.S If you missed it, here are my tips on how to Hello Kitty-fy your life from morning until bed-time for Quirk Books.